The historical starting point for security analysis. 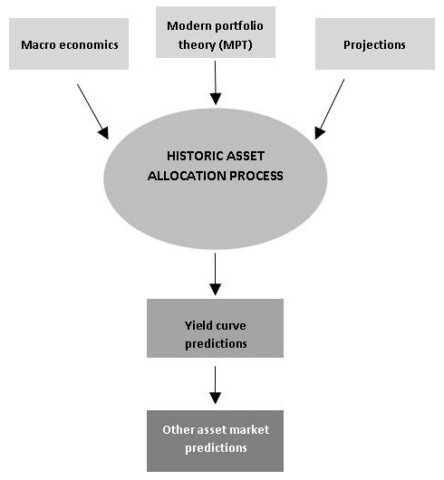 Historically strategists and asset allocation specialists have used macro economics/fundamental analysis, together with the concept of modern portfolio theory (MPT) as their starting point for security analysis. All investors are rational and risk-averse. All investors have access to the same information at the same time. Investors have an accurate conception of possible returns. Asset returns are normally distributed random variables. There are other assumptions but they will not be covered at this point. The weakness of assumptions in MPT / The reality of trading. Anyone who has traded their own account or worked on a trading floor will know that investment decisions are rarely made under conditions of rationality. Instead fear and greed dominate. There is a clear divide regarding market information when it comes to institutional versus retail investment. Institutional investors are often in receipt of information far in advance of their retail counterparts. Investors often have irrational expectations of possible returns, basing their expectations on an in built human inclination to linearly extrapolate the recent past. Many asset returns are not normally distributed, this is just an assumption that makes the mathematics of risk evaluation easier and is often relatively accurate, however, skewed distributions with fatter tails are more accurate. Purely using rational thought and fundamental analysis is unlikely to lead to success, which is why so many computer models have become dominant in the world of trading. The best way to determine if the above assumptions are close to reality is simply to look at the evidence of investor behaviour from price history. All of the above economic releases are likely to bias even a rational investor to trade from the long side, but following all of these releases Sterling was bought, forcing EUR/GBP lower. It is clear that fundamental analysis would not have been a great deal of help at this point. Understanding human behaviour would have helped. However, fundamental analysis should not be dismissed. Instead the market reaction to fundamental releases can potentially be used to assist the astute investor in trying to determine the general positioning of the market.